It is amazing how much old jewellery people have that they don’t wear. This client inherited an heirloom brooch with a large cushion shaped diamond. 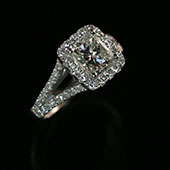 The brief was to reset this diamond into a new statement ring. 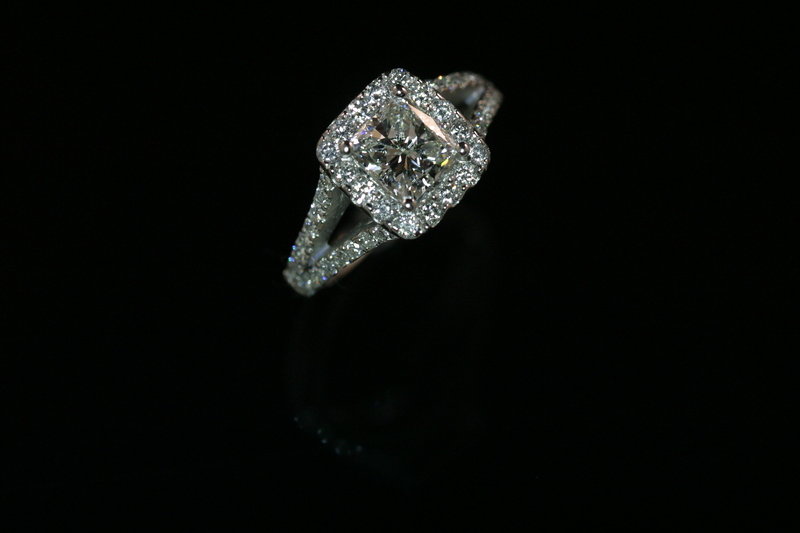 With the addition of a few extra stones, we created a stunning diamond cluster engagement ring that catches the light with very turn. 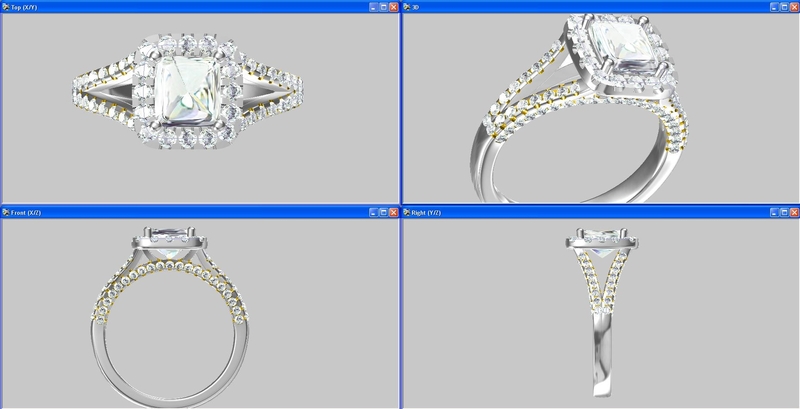 Our client had her own cushion cut diamond and wanted a new mount creating to really show off the beauty of her stone. 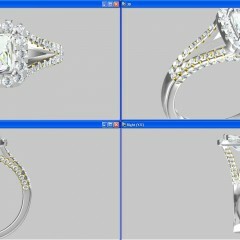 The design again was cadded and the model created. 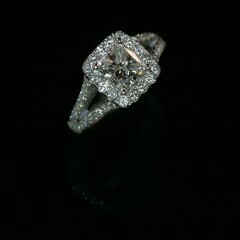 A few more round brilliant cut diamonds were added and the final creation ready to wear.